Our shop in Winter Park, FL uses the latest auto repair diagnostics technology to get you back on the road safely and quickly. 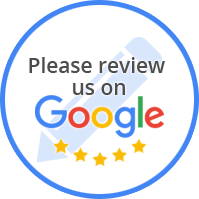 We pride ourselves in customer service & we work hard to ensure we provide the best auto repair service customer experience in Winter Park, FL. Whatever your auto repair or auto maintenance needs in Winter Park, FL, look no further than Manic Mechanic! Get in touch with us today! Manic Mechanic is a locally owned and operated business located in Winter Park, FL and has been serving the local community the Goldenrod area since 1990! If you haven’t heard of us in Winter Park, FL, ask your neighbor! These days, cars and trucks are certainly much more reliable; however, they still require proper maintenance and care. 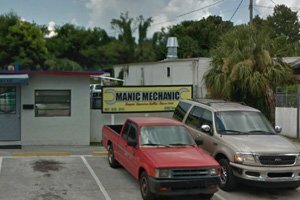 At Manic Mechanic of Winter Park, FL, our shop and mechanics offer knowledgeable auto repairs using new and advanced diagnostic equipment and computers. Carrying out auto repairs and maintaining a vehicle generally requires advanced skills and specialized tools to diagnose and complete each job correctly. Don’t panic, call Manic Mechanic of Winter Park, FL today for all your auto repair needs! We have qualified, factory trained mechanics and technicians specializing in all makes & models in Winter Park, FL. Automatic Transmission, Clutches, Maintenance, Manual Transmission, Rebuilding, Repair, Transmission Flush in Winter Park, FL. Worn, damaged or improperly installed brake equipment is dangerous and can lead to accidents. “I have used Manic Mechanic for car repairs for many cars and many years. The thing I like best is if the car is not broke they don't try to pretend they did something and charge you for it. I have sent my mother to them to get her car repaired and they do the work when promised and never try to cheat you. Very quality work done on time at reasonable rates. “reliable, honest and experience, trustworthy and recommended! These are the words i would use to describe Manic Mechanic! “What's this? A mechanic with integrity?! This guy is a pleasure to deal with. He's kind and soft-spoken. The kid I've seen working with him is equally polite. Apparently this shop has been here for decades, down this quiet dead-end industrial road, proving Manic Mechanic is one of East Orlando/Winter Park's best-kept secrets.